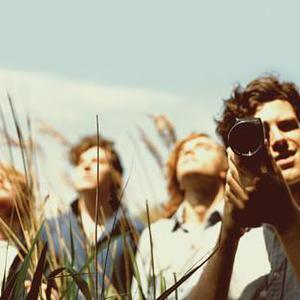 Noah and the Whale is an alternative/folk group formed in Twickenham, London, United Kingdom in 2006. They consist of Charlie Fink (vocals, guitar), Tom Hobden (fiddle, keyboards), Matt "Urby Whale" Owens (bass), Fred Abbott (keyboards, guitar) and Matthew Petulla (drums). Former members of the band include Doug Fink (drums), Laura Marling (vocals, guitar) and Jack Hamson (drums). According to Songfacts, the band's name is a combination of the title of one of their favorite films, The Squid and the Whale and Noah Baumbach, who directed the movie.